← Can Lecithin Help Mood Disorders? Chrysin is a polyphenol that belongs to the flavone subgroup of flavonoids. Evidence suggests that chrysin is able to bind to the GABAA receptor in the brains of animals and humans. This binding may explain the anxiolytic effects of chrysin, as it is known that activation of this receptor confers significant calmative and relaxing effects on subjects. The binding of chrysin to the benzodiazepine receptor is evidence by the ability of chrysin to displace benzodiazepines such as flunitrazepam from their own binding to the receptor. Further, chrysin has been shown to possess anti-anxiety effects in mice when the mice are exposed to experimental stress. The effects for chrysin were similar to those of the benzodiazepine drug diazepam. However, while the diazepam also cause muscle relaxation and and sedation, no such effects were present with the chrysin. Therefore chrysin possesses anxiolytic effects without sedation, and this may explain the mood elevating effects of herbs containing chrysin. Chrysin is present in the herb passionflower (Passiflora sp.). 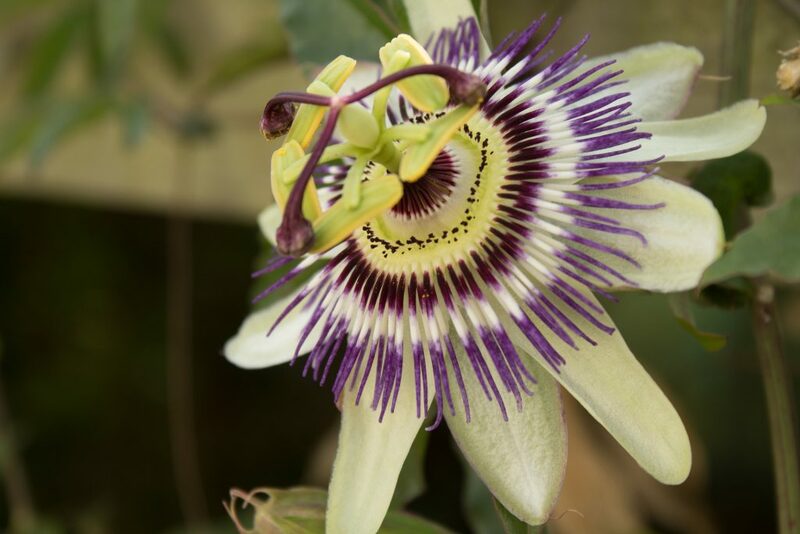 Passionflower has been shown to possess significant anti-anxiety effects in animals and humans. This may relate to the presence of chrysin in the tissues of the plant. It is thought that chrysin exerts its effects through activation of the GABAA receptors, the same receptors that are targets of the benzodiazepine and barbiturate drugs. This entry was posted in Anxiety, Chrysin, Depression, Mood, Passion Flower (Passiflora incarnata). Bookmark the permalink.